What I would love to do is to create a mod for FS which puts the player in a modern, urban environment where he has to play through scenarios similar to what you'd expect to find in a Rainbow Six game. 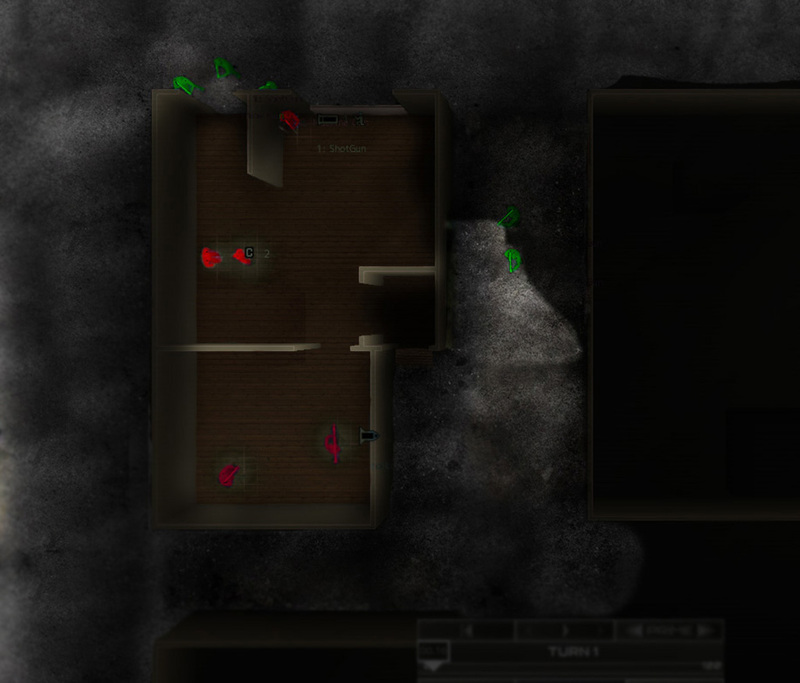 In that scenario the player is clearing out a house full of known terrorists. Another mission might be to rescue hostages or defuse a bomb. Now, here's the reason this isn't possible at the moment..
Unit textures can be modifed. Unfortunately the only texture map they have is a grayscale bitmap which seems to tell the engine how much colour should be on each part of the unit (and the gun). White being full colour and black being no colour. That means that the only thing we can modify on the units is how much colour they have. We can make them completely black... which isn't much use. You cannot texture the floor nor the walls since they have no textures, so I'm guessing the colour information for the floor and walls are in the shaders they use. The reason I want to mod FS is that the engine is absolutely perfect for tactical combat (duh). It really is a shame that you can't create proper mods for this game. I realise this probably won't happen but I honestly believe that changing the game so that we can texture and mod it will make the game more popular and most likely result in some amazing mods being released. The ground is essentially just a plane, yes? When you import a png file into the editor it uses red (255, 0, 0) to create walls and blue (0, 0, 255) to create boxes. Shouldn't it also be possible to project the rest of the png file onto the floor? We would be able to create the layout of the map (walls and such) and the ground texture in a single file. I would be happy even to get possibility for changing game themes (like red mode) to gray/green etc. per map setup option would be avesome too. then we could get further use of lightning: hiding in darkness?